Christmas Holiday Direct Deposit > FirstFleet, Inc.
With the holiday weeks upon us, we wanted to assure everyone that all Direct Deposits will be posted by the banks on schedule this week. Due to the banking holidays this Christmas Friday, our direct deposit schedule was moved up one day to post on Thursday of this week. 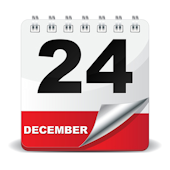 Your direct deposit date will be on December 24th of this week. Thank you for all you do and Merry Christmas!